Every year we hear the same story about cutting-edge technology that’s going to change the world. And it’s typically the same story about something that has little value to our lives, or in this case, how we can find a better way to market a home for sale. Well, not this year. Carpenter’s HomeTour 360° is just that – a hi-def 360° tour of every room in your home. This is cutting-edge technology that is just too cool, as it allows online visitors to “walk” through your home with 360º views of every room. 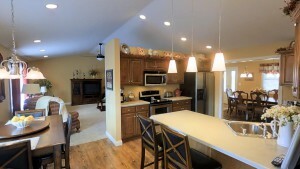 Dozens of photos of your home, with every viewing angle available. Left, right, up, down, all around. No, it’s not a new dance, it’s HomeTour 360°. A special (very costly) camera uses nine lenses and rotates 360° from every angle. It’s like a self-guided drone tour, presented as if you’re actually in the home. 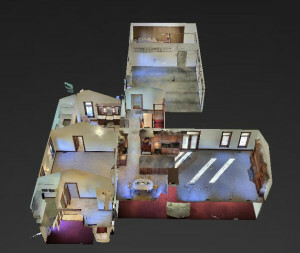 You can view the exclusive “dollhouse” view, showing the entire home from above. You can view a complete floor plan. You can click on any room and go straight there, on any of the home’s levels. Click again and you’re “walking” to the next location with a new 360° view. If you want to see how this works, click here. If you want to experience this with your own home, call your nearest Carpenter agent.